One Italian player is to be found by modifying the answers to two normal clues before entry. 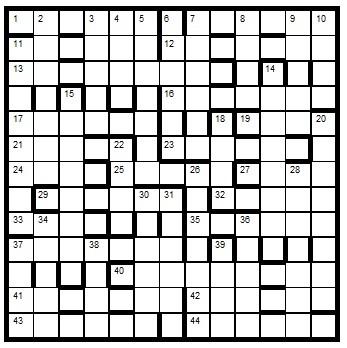 Plus a second player and a third from extra letters in the wordplay part of 15 across clues and 15 down clues respectively, all to be removed before solving. Four more appear in the finished grid and must be highlighted (48 cells). Nine of the remaining clues contain a misprint in the definition part of the clue, which provide the title any of the seven players may use. To enter this competition, send your entry as an image or in list format, with an explanation of the highlighted players, to quiz.man@ntlworld.com before the 8th July 2014. The first correct entry drawn from the hat will receive a book from the Chambers range which has been donated by Chambers.